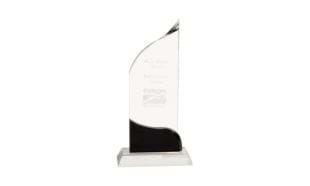 This 10" clear glass award features a wave-like top and a black accented wave-like bottom. 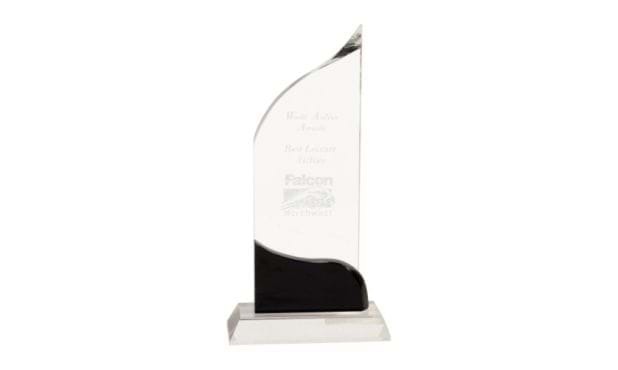 Stands on a clear crystal base. General inscription is included in the price. Artwork set-up cost may apply for custom artwork and logos.